Learn how to wrap text around an image within a text frame using Adobe Muse. The trick to wrapping text inside a text frame is to copy and paste the image (rather than placing it) into the text frame, and then using the Wrap panel to adjust the wrapping settings. Click anywhere on the page or gray area outside the page. Choose File > Place and browse to select an image file. Click Open to close the Import dialog box. Click and drag your cursor on the page, outside the area that contains the widget. By clicking and dragging, you can resize the image, and a percentage temporarily displays to let you know the scale of the image you are placing. Click-drag to scale down the placed image to approximately 42%. 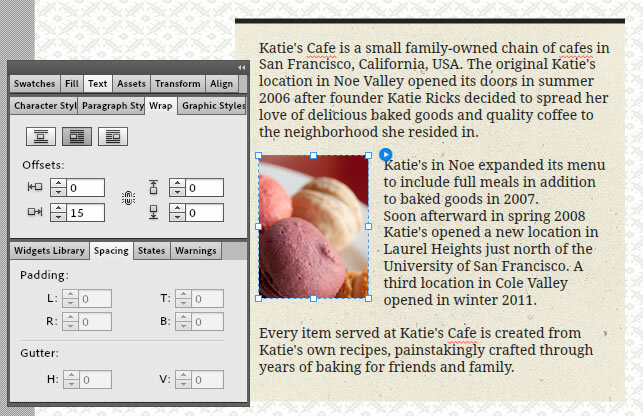 Select the scaled image on the page, right-click it, and choose Cut from the menu that appears. 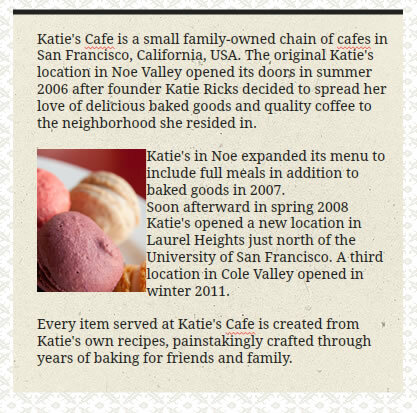 Right-click at that location in the text frame and choose paste from the menu, to paste the image immediately before the second paragraph. Paste the image inline with the text in the text frame. While the image is still selected and the Selection Indicator displays the word Inline, open the Wrap panel (click the Wrap tab, or if necessary, choose Window > Wrap to open it). 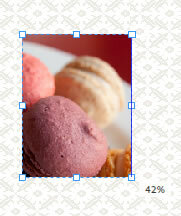 Select the center wrap option to wrap the image to the left of the text and set the Right Offset value to 15. Adjust the wrap settings in the Wrap panel.